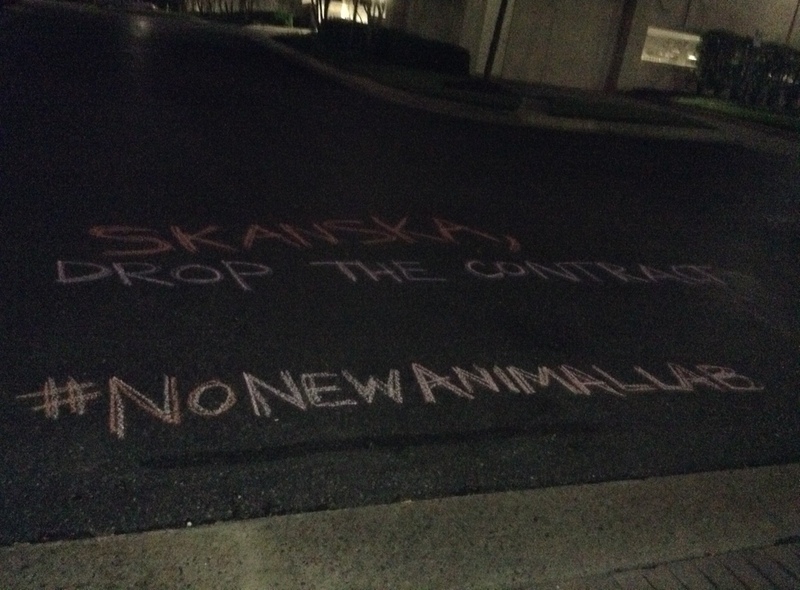 DC-Area Activists Step up Pressure on Skanska Execs! 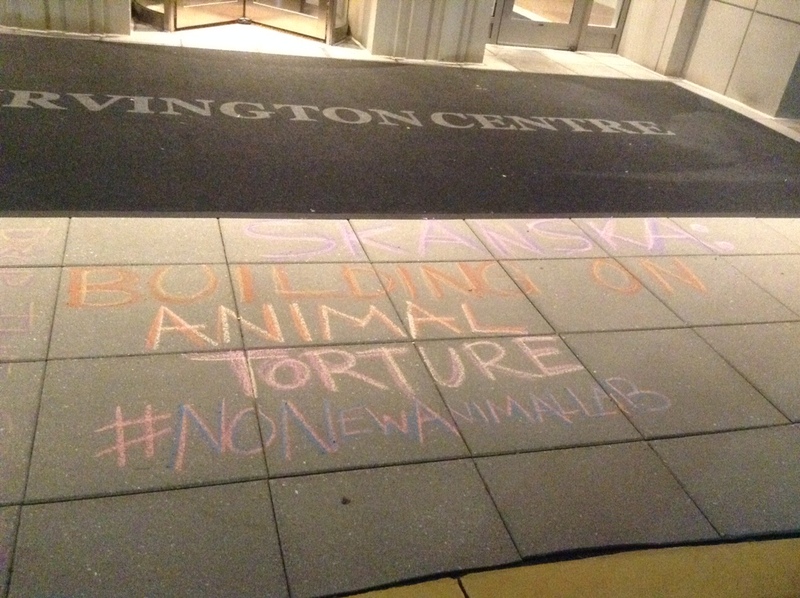 DC-metro area activists visited the home of Martin Sharpless, VP of Skanska Building over the weekend exposing his role in profiting off animal torture to his neighbors. 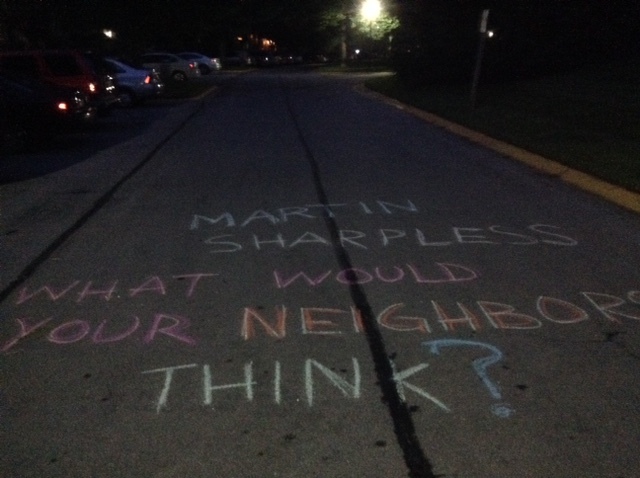 This message was left in front of his house. 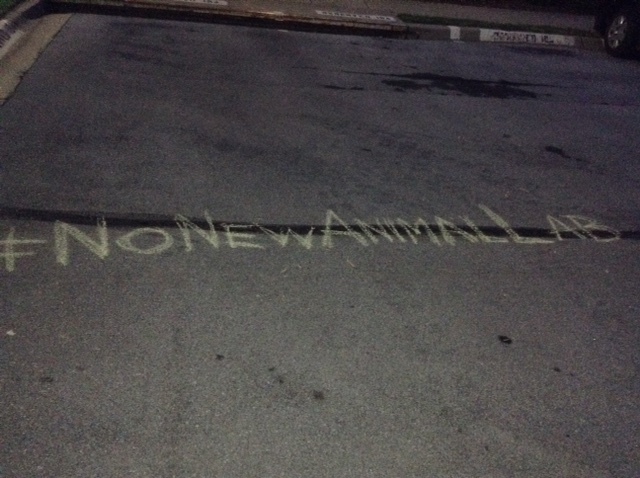 There were other messages written around his neighborhood to make sure that his complicity in this heinous practice was well-known to his neighbors. The Montgomery Village, MD office of Skanska USA Building also received a visit that night. For many Skanska employees in MD, these messages serve as the first notice of their company’s involvement in the lab at the University of Washington. However, executives will continue to feel the pressure of those fighting for the end of animal exploitation. 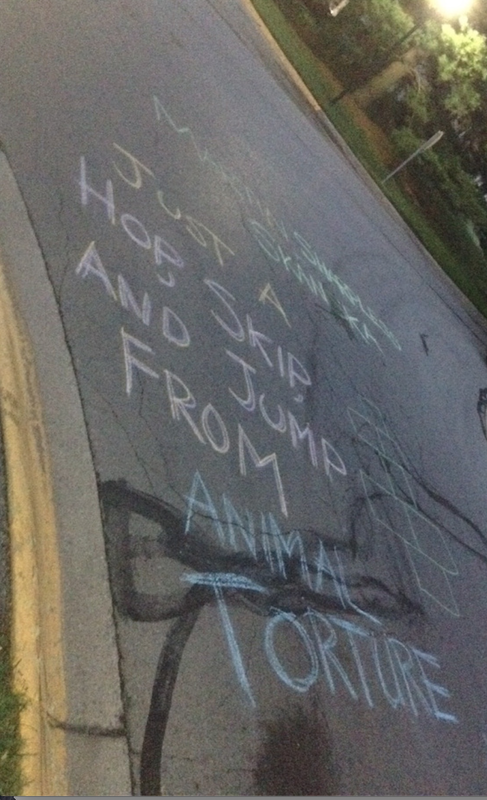 Stay tuned for DC Stampede’s next public action, which will take place on the first weekend of August.